Multi-tasking disinfecting wipes to clean the toughest of messes that live on surfaces. Don't let germs slow you down; fight them before they can stop you. From spills and grease to bacteria and other nasty germs lurking on surfaces, clean up the mess in one swipe. 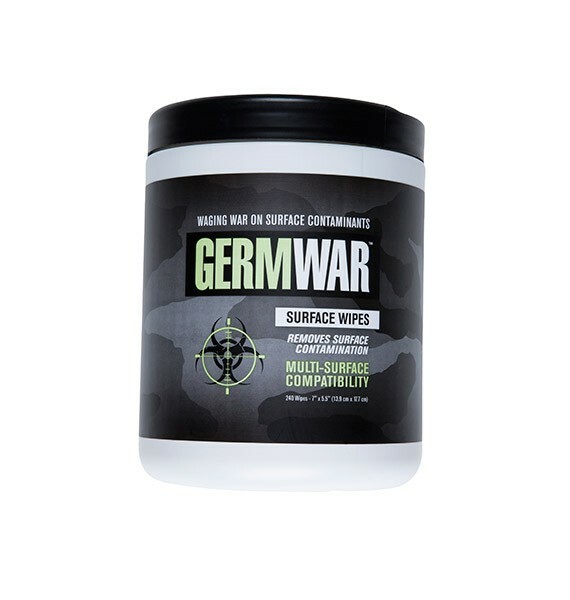 Small, yet powerful, the multi-tasking GermWar Disinfecting Surface Wipes kills surface contaminants, leaving you free of germs that may cause the dreaded cold/flu. One swipe can kill 99.99% of germs found on surfaces. Keep in the kitchen, bathroom or office to clean the toughest filth and fight the flu. Our products will change the landscape of illness prevention - keeping people healthy, vibrant and alive.